Born La’ Reonte Wright, on the 26th November 1990, in Flint, Michigan USA, Dizzy is a rapper, best known to the world for his debut album “Smokeout Conversation” (2012), and the single “Can’t Trust Em”. With his music career being a source of his wealth, just how much is Dizzy Wright worth, as of late 2017? According to authoritative sources, his net worth is estimated at over $3 million, accumulated largely during his music career active since 2010. 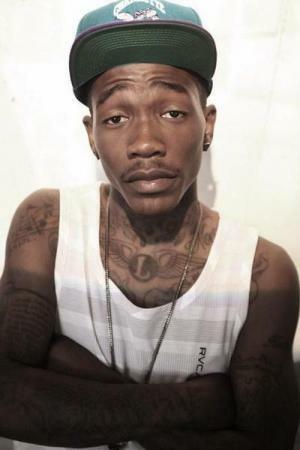 Dizzy Wright started rapping at the age of 8 years; together with his brother and other friends, he started a group called DaFuture. Looking up to his uncle Flesh-N-Bone and Aunt Layzie Bone, who were members of the Bone-Thugs-n-Harmony a musical group, it was only a matter of time before Dizzy would take his amateur career onto a professional level. His mother, a promoter, then brought him into the limelight by getting a reporter job for his brother and him in an award-winning program “Just for the Kids News”, and she would also write rap lines for him. It was during Dizzy’s time here that he got to interview well-to-do musicians like Tyrese, Boyz II men, and St Lunatics, which continued to ignite the singing passion in him. In 2010, Dizzy participated in the Sheikh Music Rip, the Mic contest competition and was named a winner. The win caught the attention of a recording label called Funk Volume. He also appeared as Dizzy D Flashy on “106 & Parks Wild Out Wednesday”, in the same year. He released his first mixtape “Soul Searchin’ Next Level” in 2011, and his debut album, “Smokeout Conversations” on the 20th April 2012, on which fellow rapper SwizZz contribted. Thanks to the initial success of both mixtape and the album, Dizzy continued his rise on the music scene. His single “Can’t Trust Em” fared well, as it peaked at No. 42 on the Top R&B/Hip-Hop Album and No. 8 on Heatseekers Album charts. He also launched a mixtape a few months on entitled “Free Smokeout Conversations”; the song, “Independent Living“, which he did with fellow rappers WhizZz and Hopsin, was the most famous on that album. In 2013, Dizzy released a song from his upcoming mixtape labeled “Maintain”, together with rapper Joey Badass, and then a music video for a new song called “Still Movin”, and just a few days later “Killem With Kindness”. His next release was the mixtape “The Golden Age”, which was strongly influenced by the 90s and had other artists on it including Wyclef Jean, Hopsin, WhizZz, Joey Badass, Honey Cocaine and Kid Ink, and reached 39 on the Top R&B/Hip-Hop Album chart. In 2016, Dizzy released his second full-length studio album, entitled “The Growing Process”, and it climbed to No. 47 on the US Billboard Top 200 charts. Before his album was released, Funk Volume label disbanded, but despite that, Dizzy has maintained a connection with his manager Damien Ritter. Since then, he has released a couple of Eps and two studio albums, “The Golden Age 2” and “State of Mind 2”, all through the Still Movin label, the success of which has also increased his net worth. When it comes to his personal life, Dizzy tends to keep most of his intimate details hidden from the public eyes, therefore no reliable information is available about Dizzy in the media, outside his professional career; he is believed to be still single.